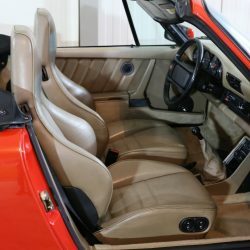 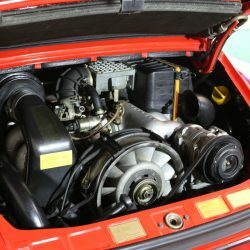 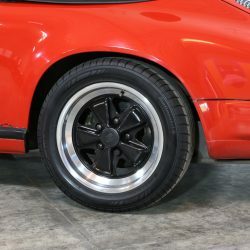 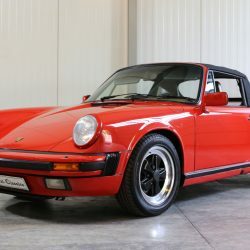 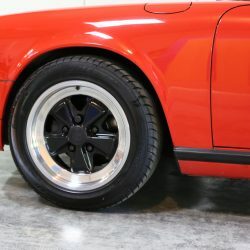 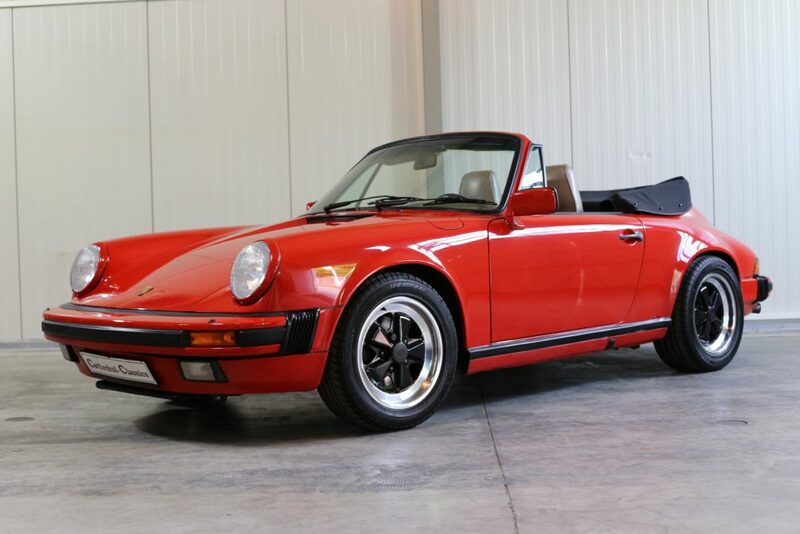 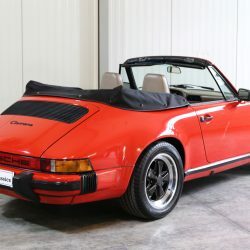 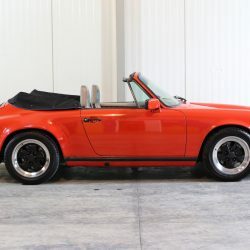 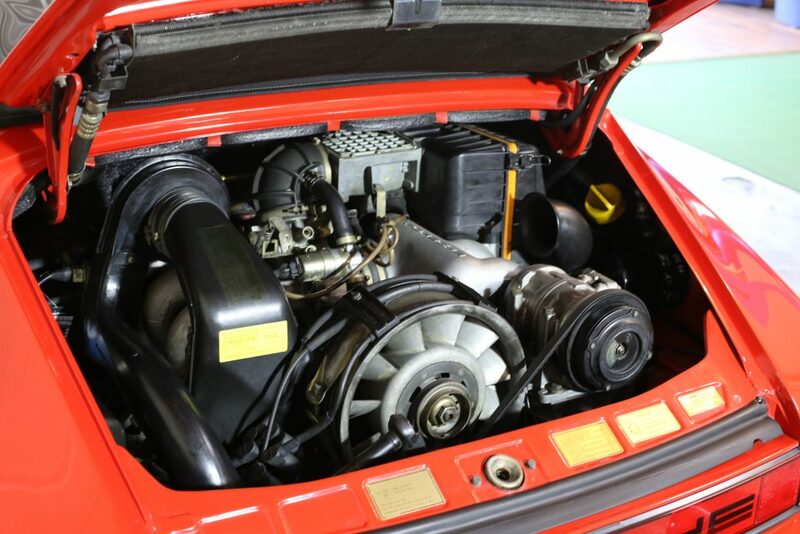 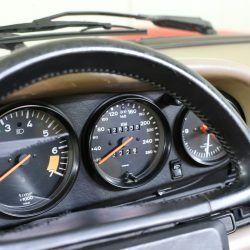 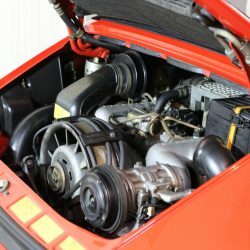 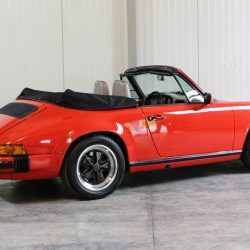 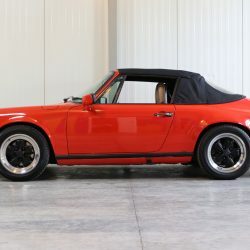 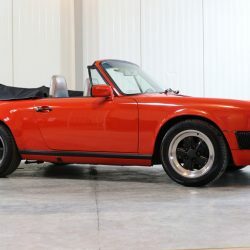 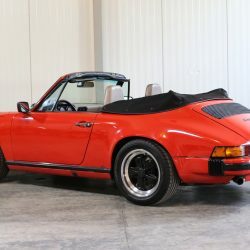 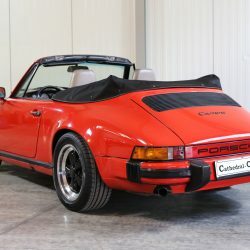 HISTORY – Following well documented internal discussions on the subject of 911 v 928, Porsche would introduce the 3.2 Carrera model in 1983 as a replacement for the successful SC series. 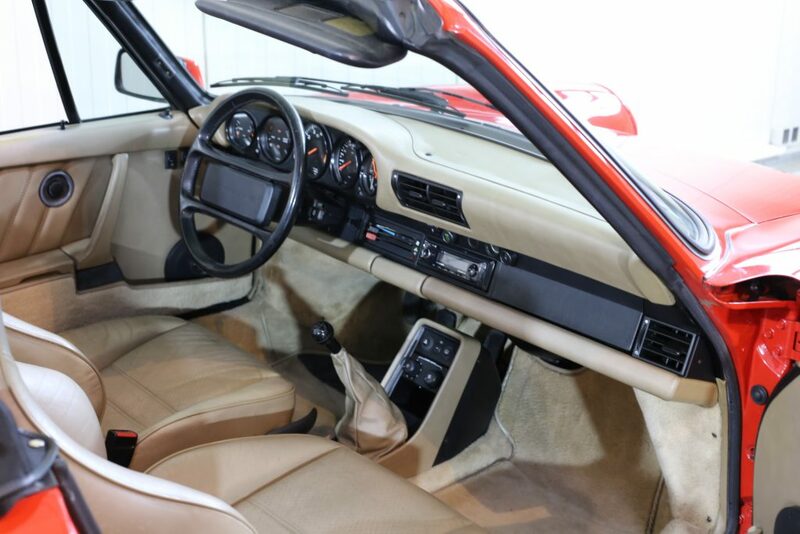 The MY 1984 911 3.2 Carrera, would revive the Carrera name for the first time since 1977. 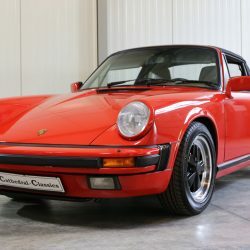 The 911 3.2 Carrera was the final iteration in the original 911 series, with all subsequent models featuring new body styling with new brake, electronic and suspension technologies. 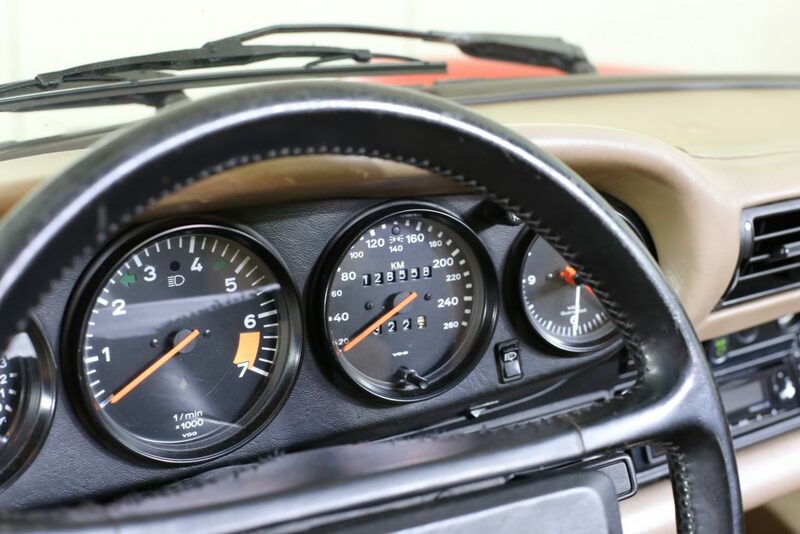 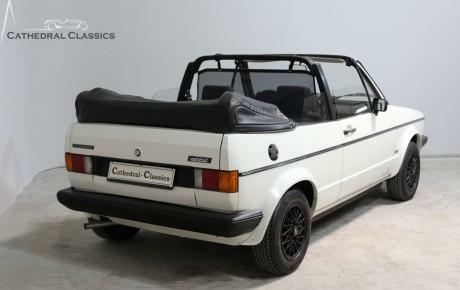 This particular original US model was imported back to Germany in 2014 by a collector and has since had a Euro kilometer Tacho fitted, now showing 128,585 km’s. 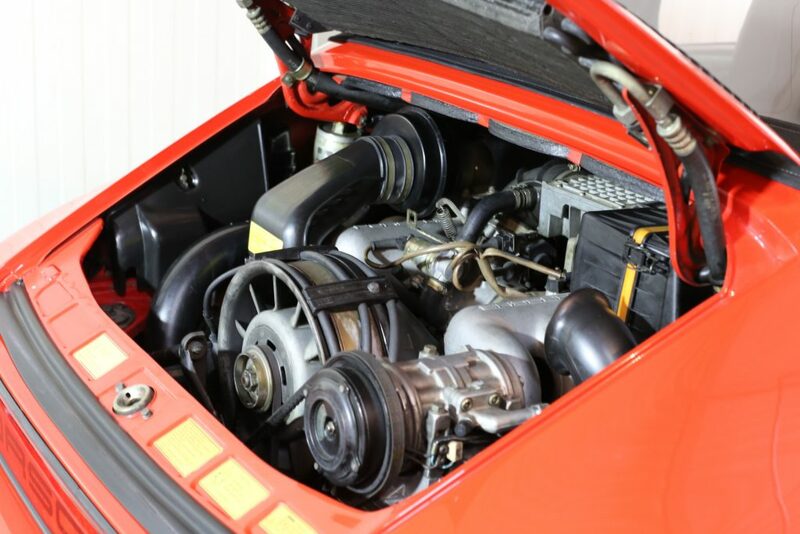 A valuation Inspection report from 2016 awards the car with a 2+ and a value of €58,500. 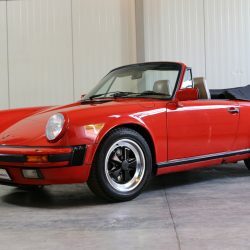 Now registered with German Historical registration and ready for the summer. 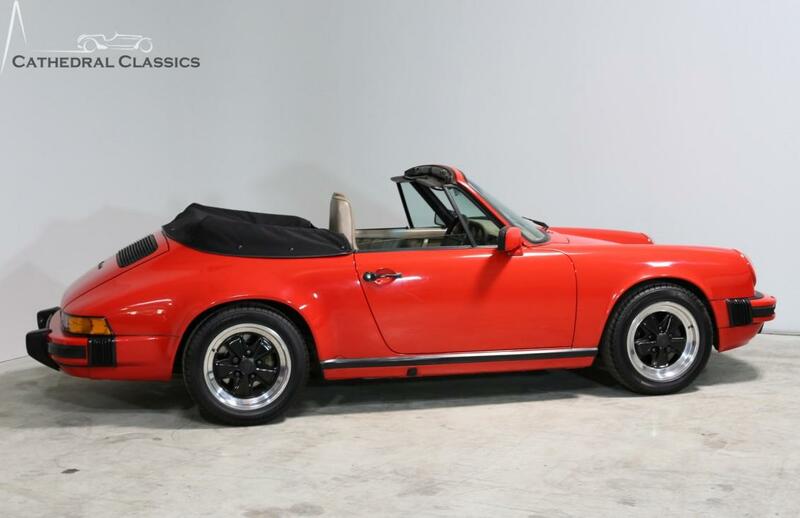 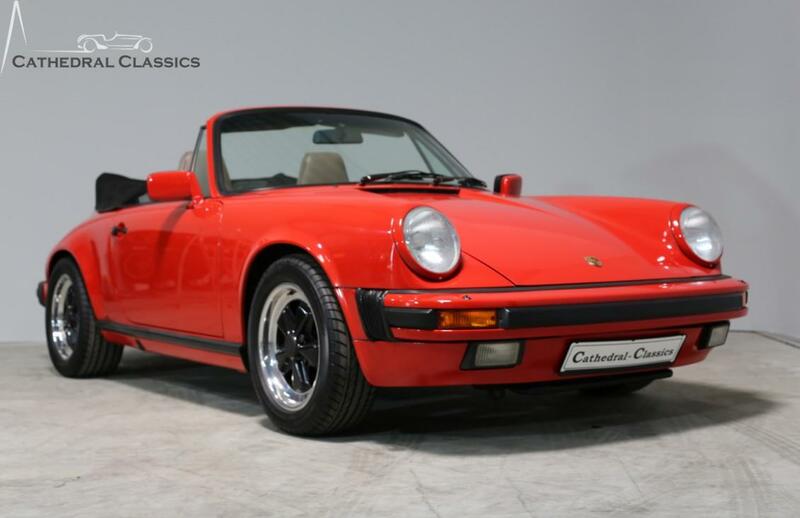 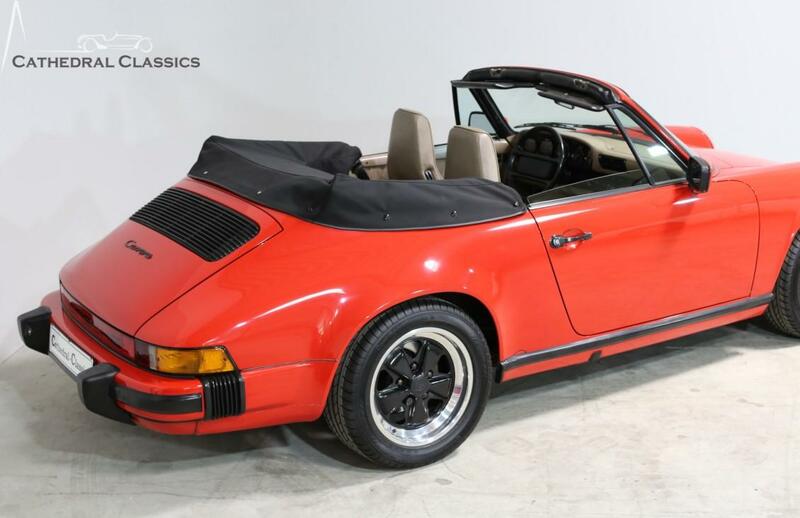 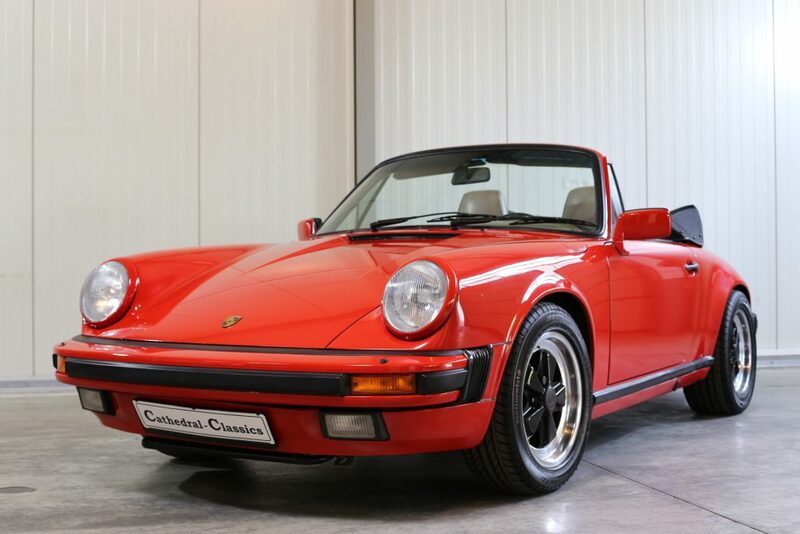 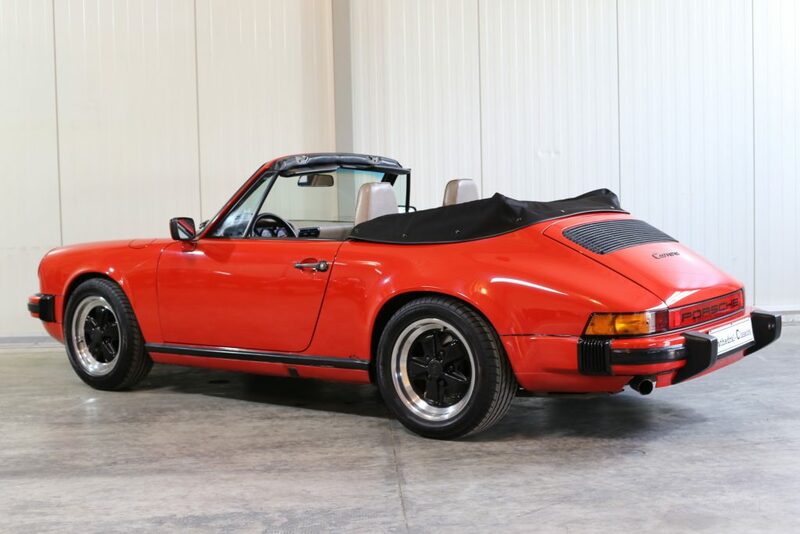 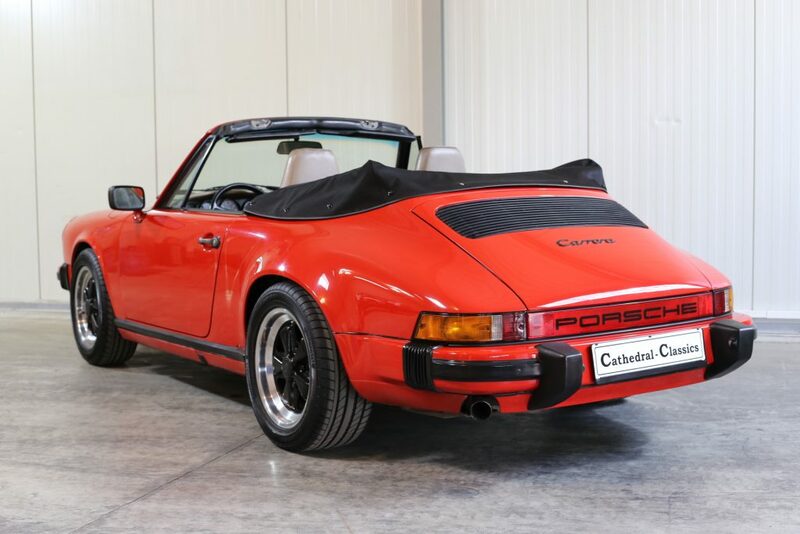 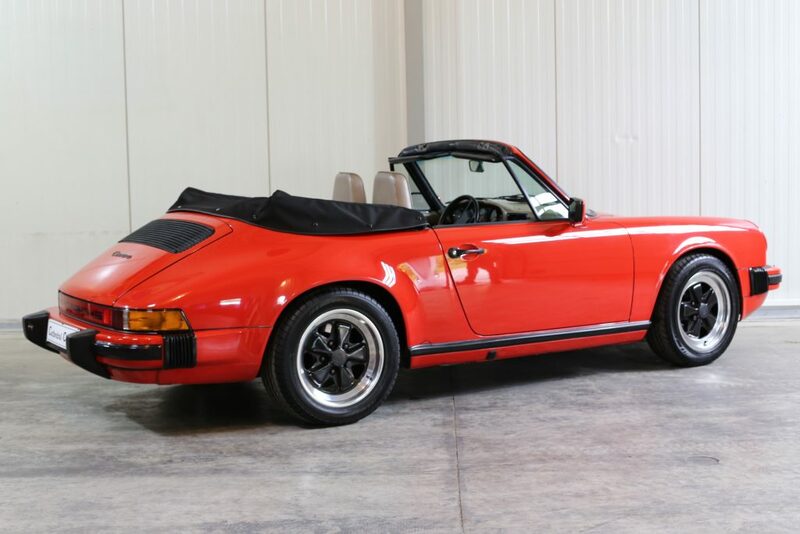 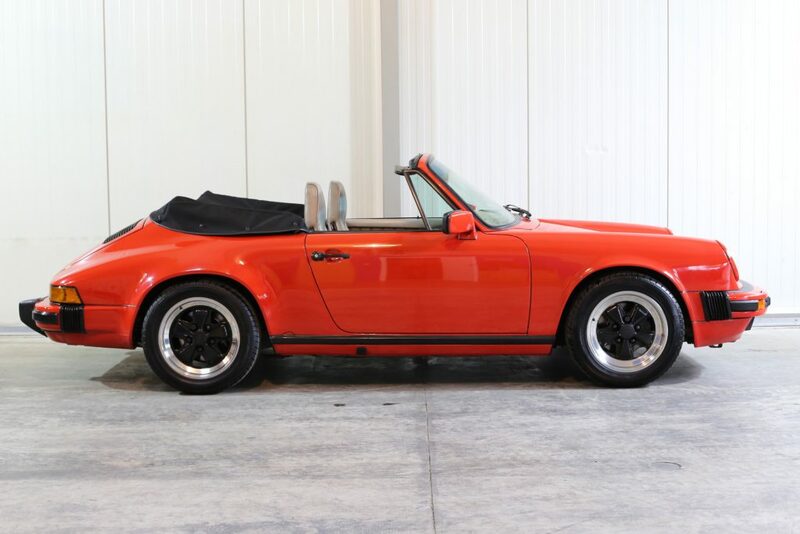 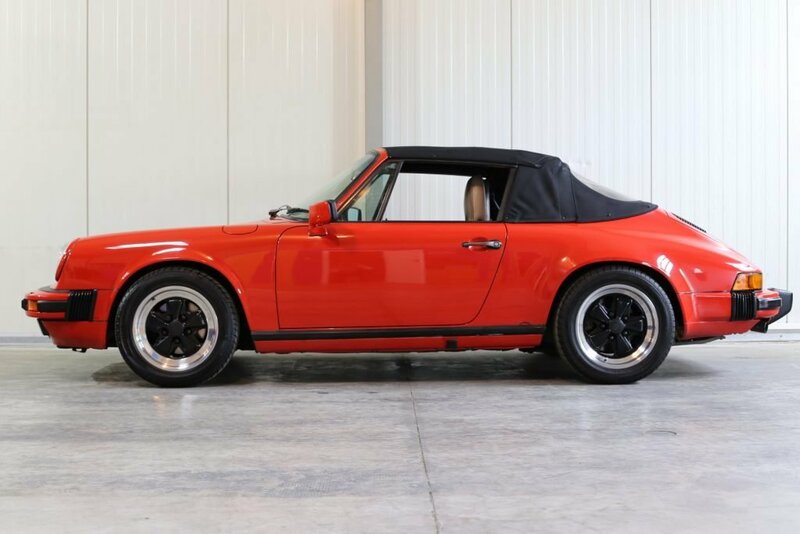 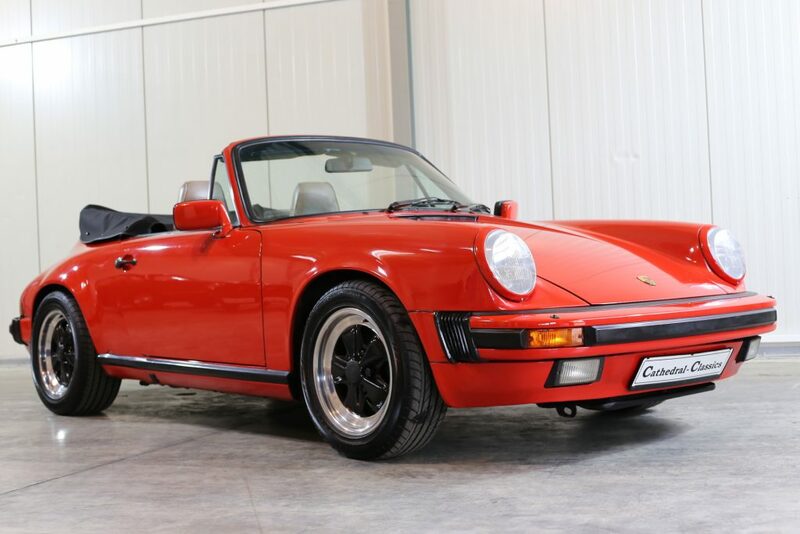 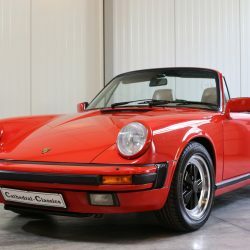 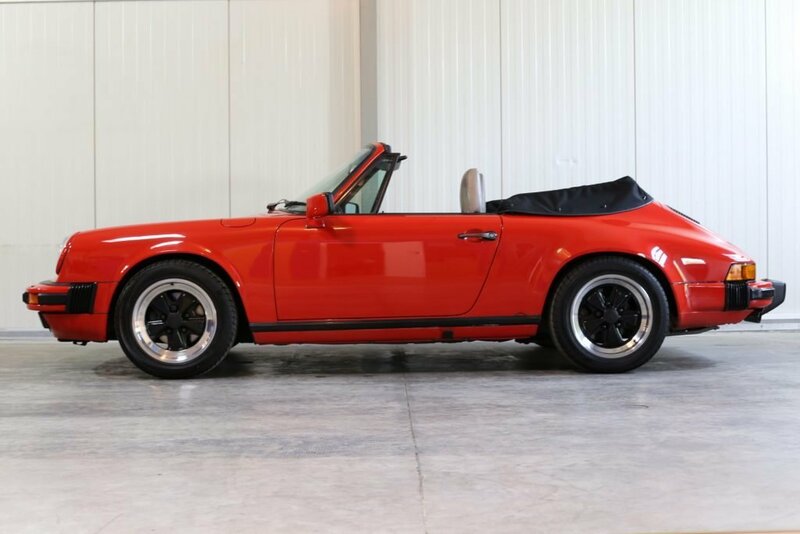 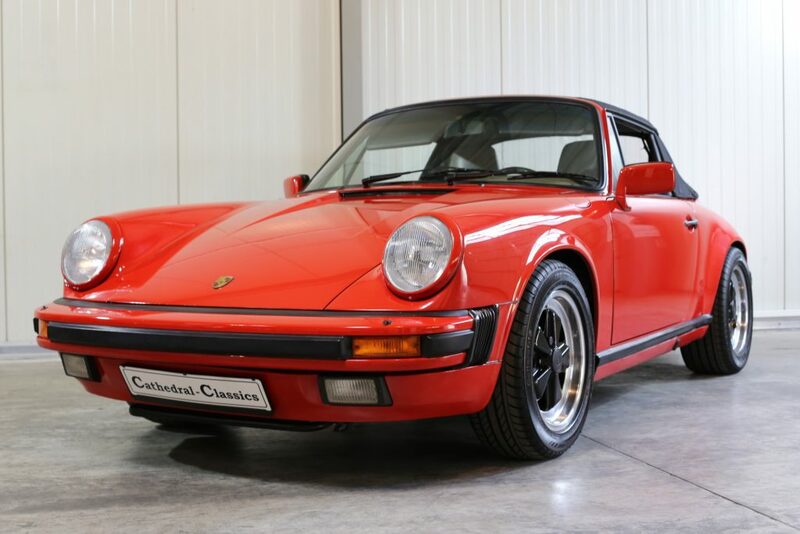 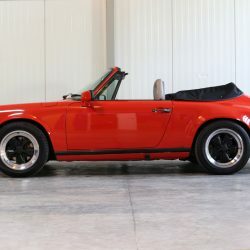 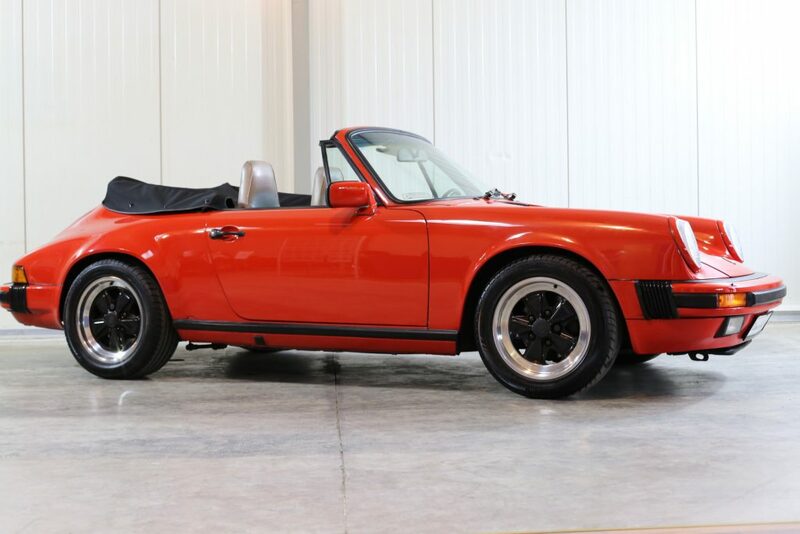 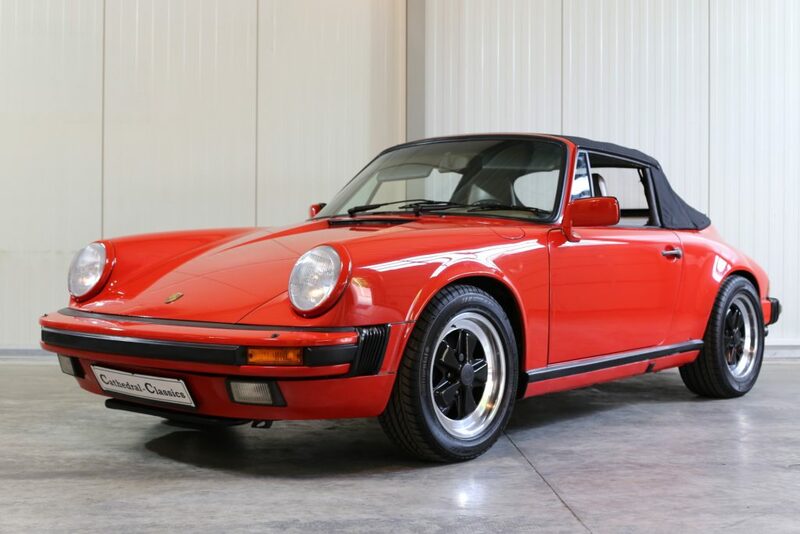 EXTERIOR - This genuine Carrera example is finished in stunning Porsche Indisch rot. 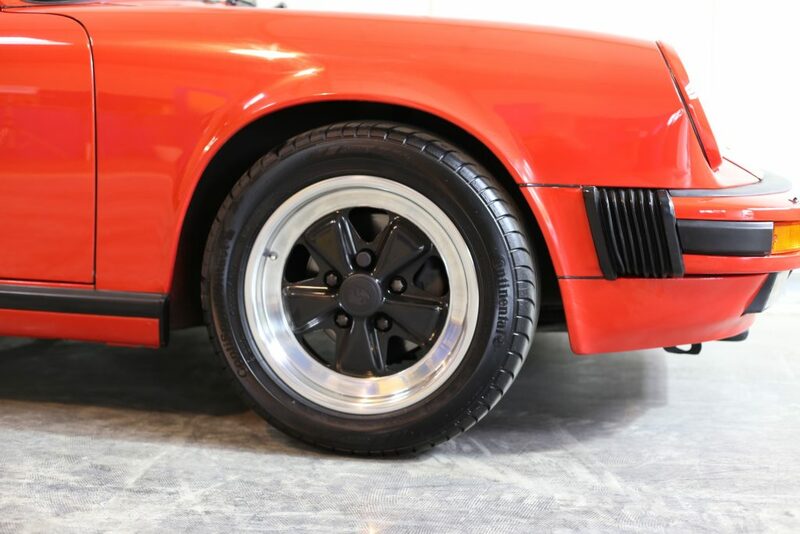 The mostly original paintwork boasts an even shine being nothing short of breath taking and confirms that the car has lead a sheltered life. 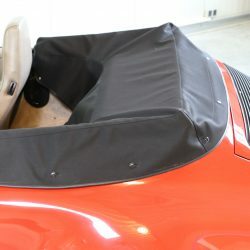 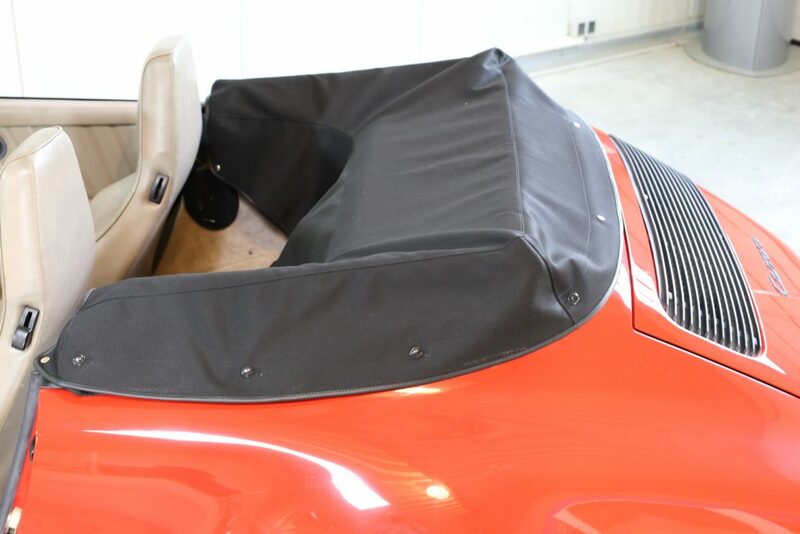 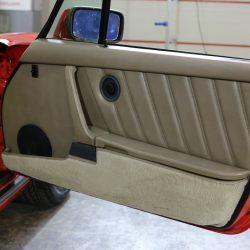 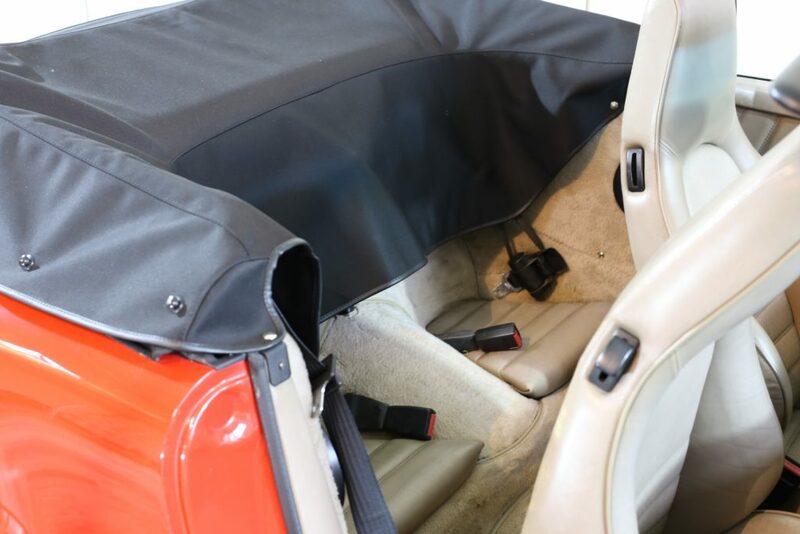 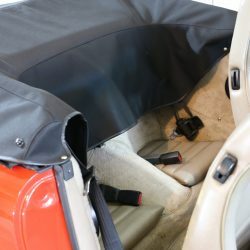 All panels are straight and free with true Porsche fans spotting the replacement rear boot which is one area with fresh paint. 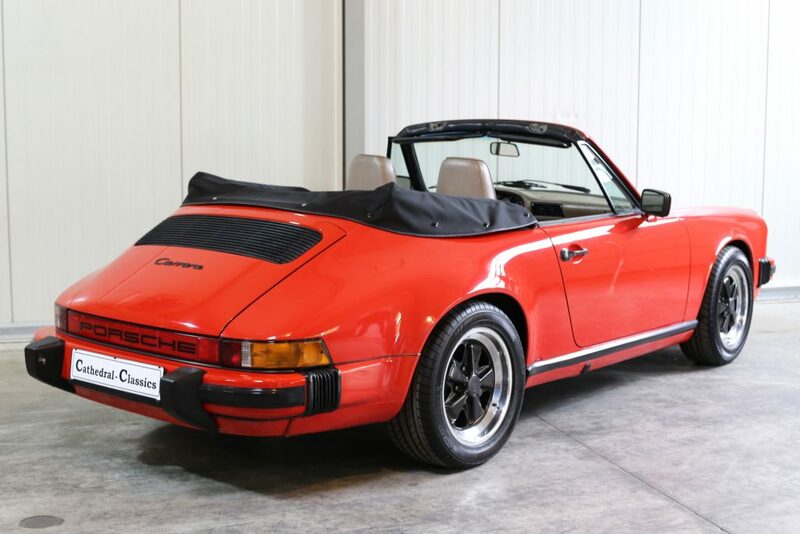 The ultimate 1980’s object of desire. 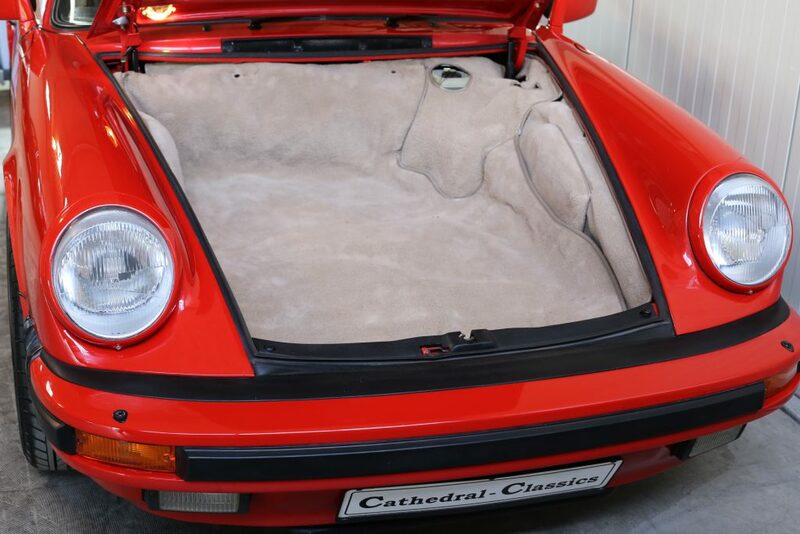 The mohair roof is in damage free condition with of course a matching cover. 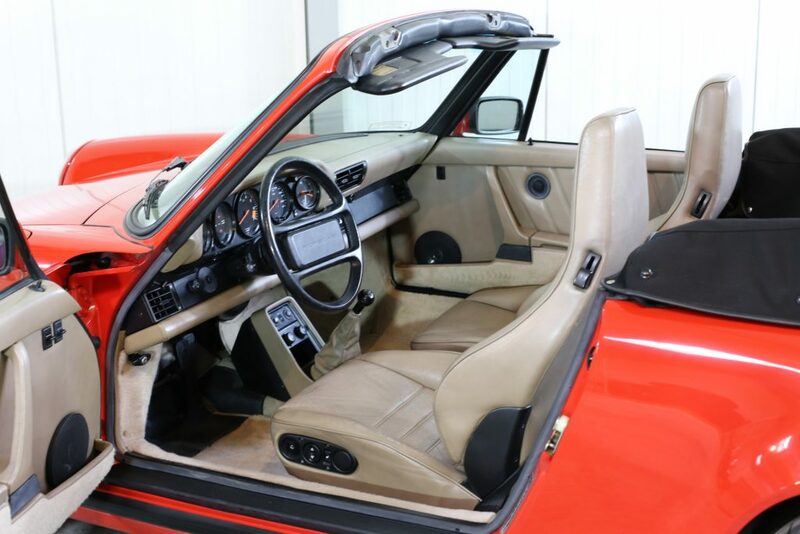 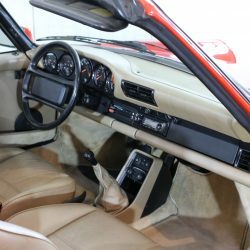 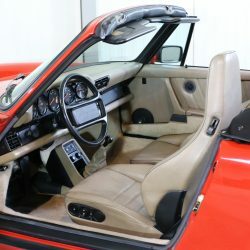 INTERIOR - The splendid interior of this 911 is a delightful throwback to 1980’s supercar glamour. 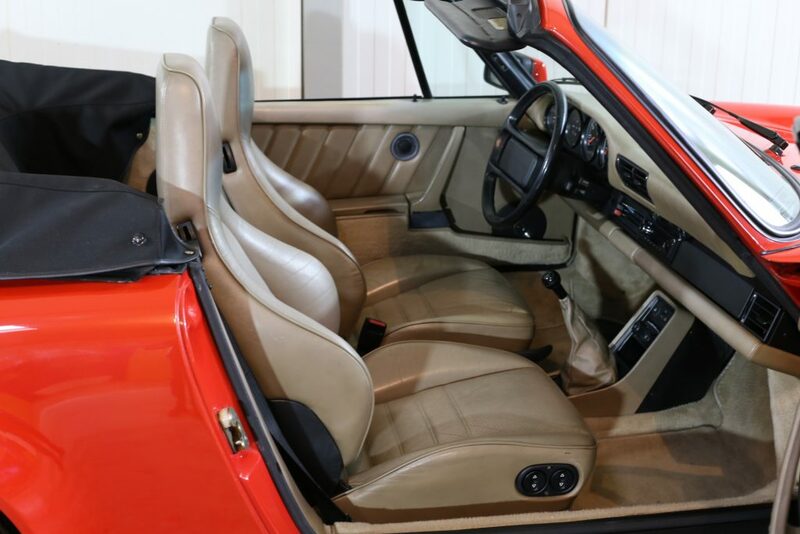 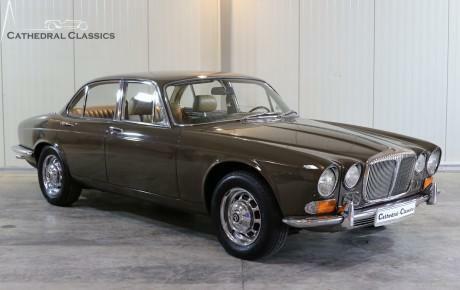 The contrasting coffee leather seats are finished in a suitable patina condition. 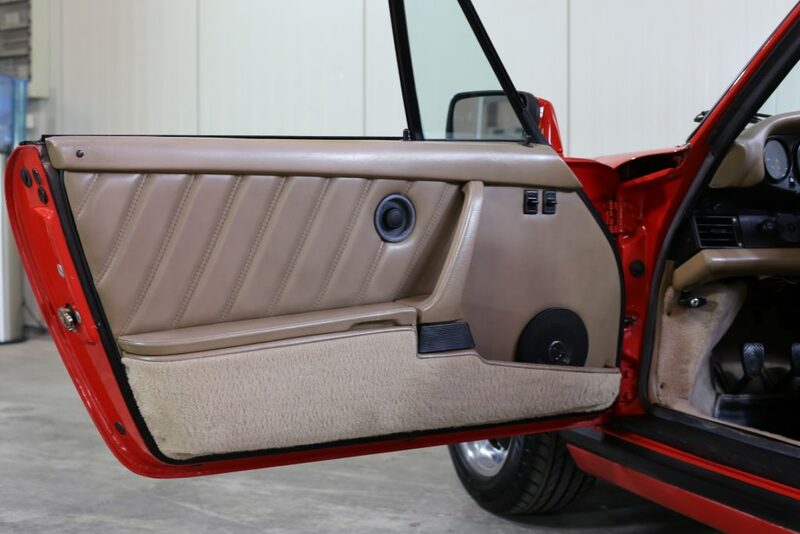 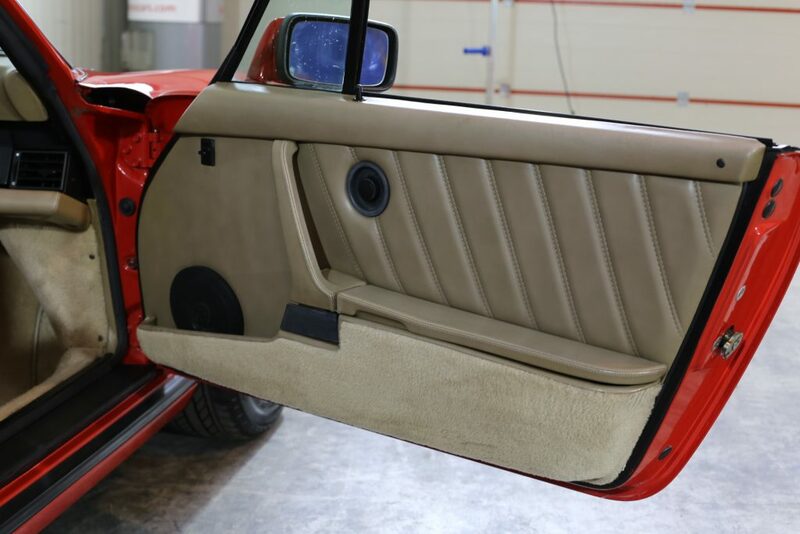 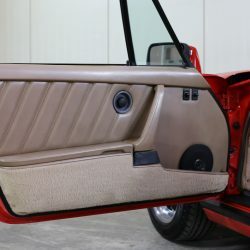 Matching door cards and fitted carpet mats complete the look and resonate with 1980’s exuberance. 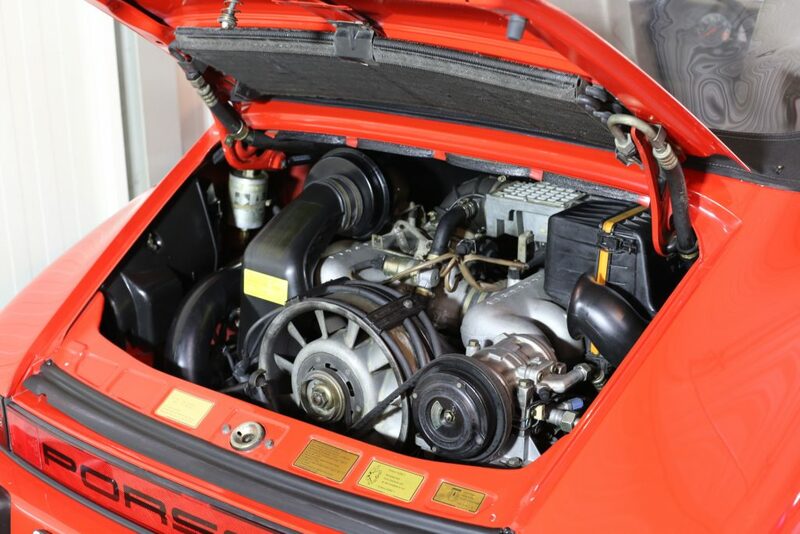 Just a great place to be and enjoy sublime German engineering with the wind in your hair. 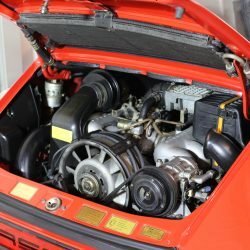 ENGINE & TRANSMISSION – The original engine with matching 5 speed (915) transmission are in smooth unison and offer 3,164cc 147 kW. 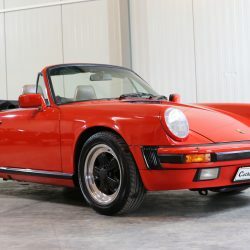 Naturally aspirated, a top speed of 152mph (240 km/h) and 0-62 time of 6.3 seconds is only marginally slower than the 3.3 930. 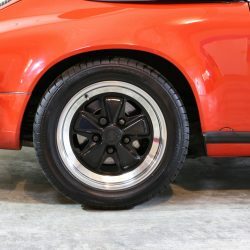 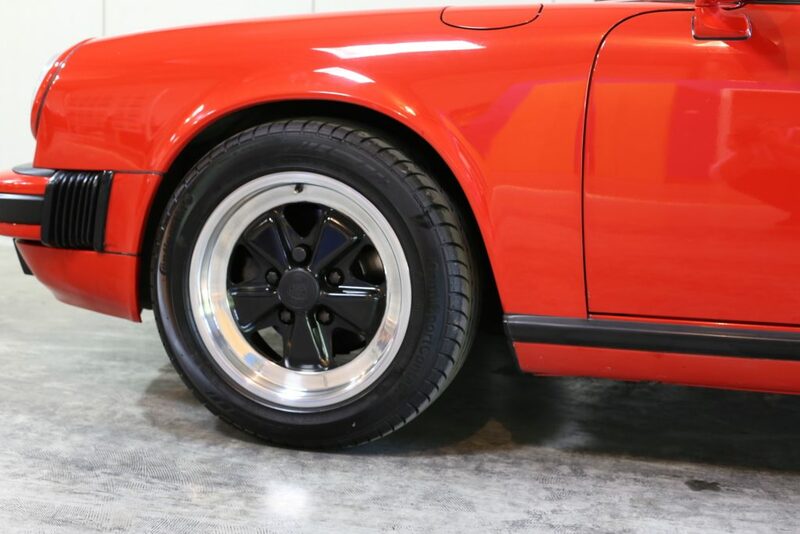 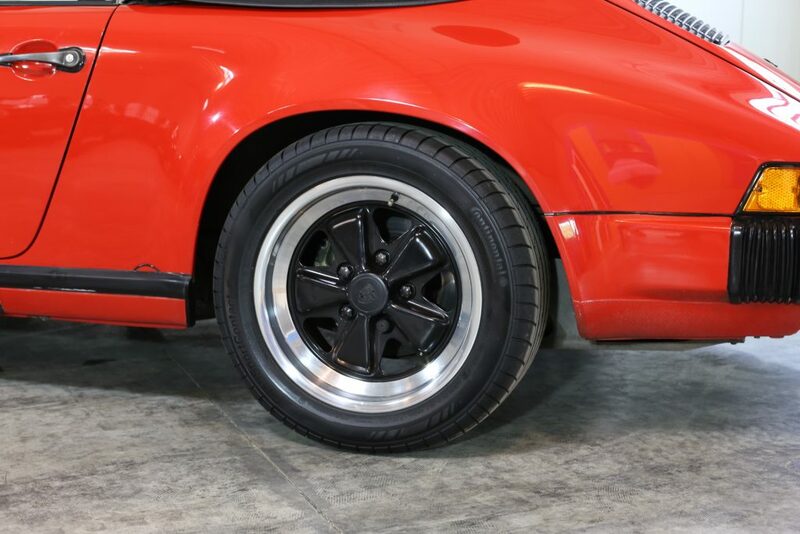 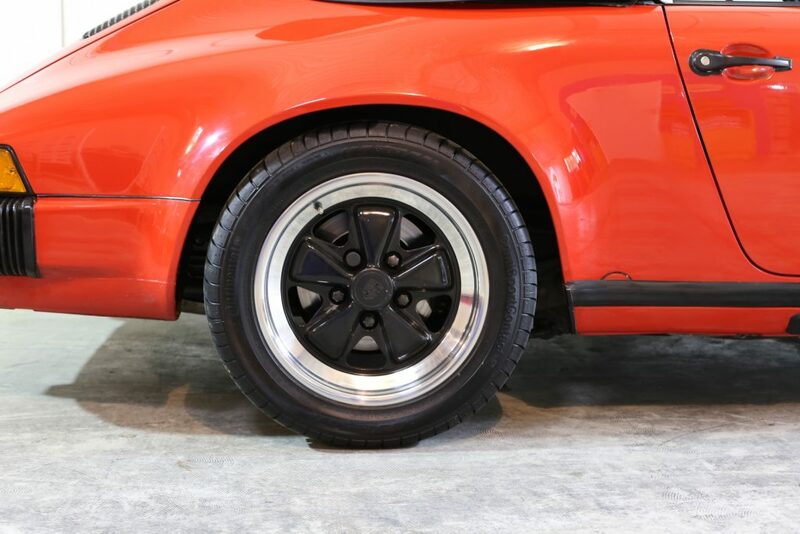 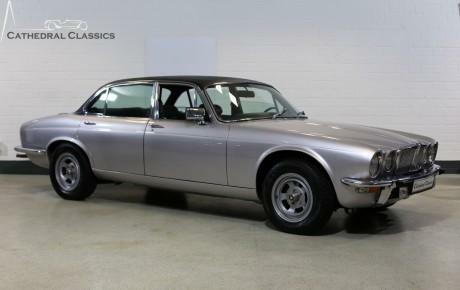 WHEELS, TYRES & BRAKES - The 16” Fuchs alloy wheels are in outstanding condition following a full restoration. 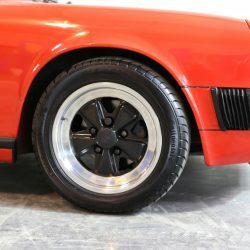 No compromise - quality matching Continental ContiSportContact tyres have been fitted - 225/50 ZR16 ears with additional 2cm spacers and 205/55 ZR16 at the front and have masses of tread remaining. 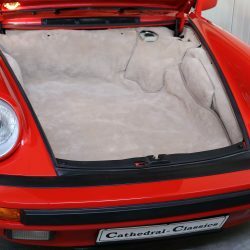 The car stops exactly how it should.